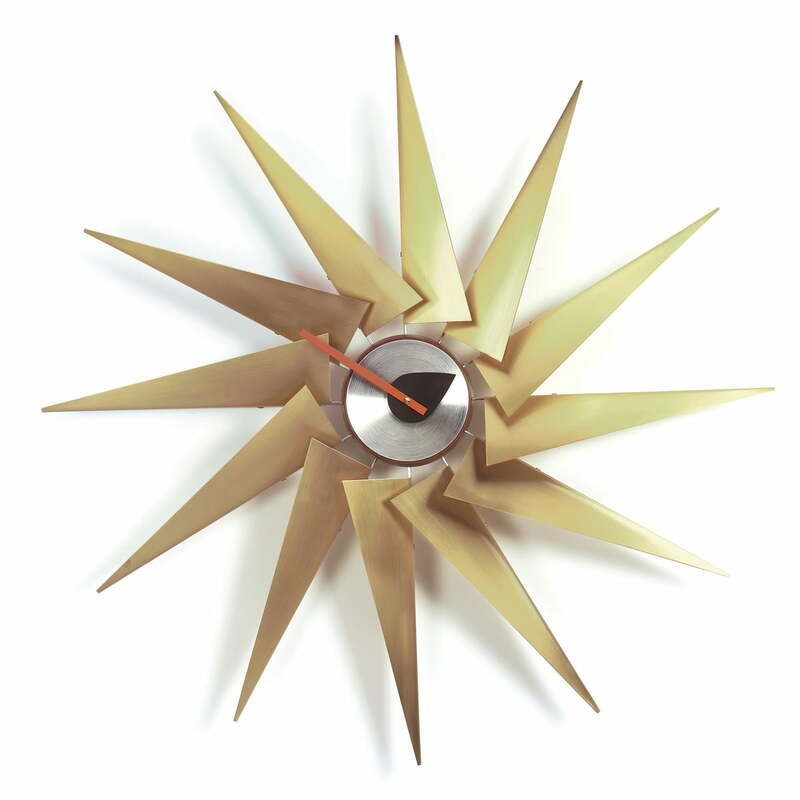 The wall clock was designed by George Nelson in the year 1957. It is one of the known clocks of the designer that are presented as Wall Clocks at the Vitra Company. The Turbine Clock from Vitra is a fidel reedition of the wall clock and consists of brass and aluminium. It possesses a high quality quartz movement. In a variety of materials and sculptural forms, George Nelson's clocks embody the awareness of life of the 50es. His clocks still are a refreshing alternative to the common timekeepers today. The architect George Nelson counts to the most important and influential personalities of American design. Besides his work as an architect, designer and exposition designer he coined the international design and architecture discourse over the decades with his extensive journalistic work. Vitra produces and distributes a part of George Nelson's designs since 1957, initially under license registration. In the year 1984 Vitra undertook the exclusive rights for Europe and the Middle East. The collection grew by a few designs over the last years.